I can't believe it is already 2013 and I'm going into my 3rd year participating in the Stamp of the Month Blog Hop! 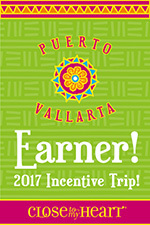 It's been so much fun to participate and see what creative ideas other consultants have on the same stamp. Well - 2013 is no different. We've got some GREAT stamps in store for you this year that you are really going to enjoy. We are starting the New Year off with Happy Valentine, a set of 7 stamps. If you have come here from my dear friend Krista Hershberger's blog you are on the right track! The Blog Hop is one big circle so you can start here and go all the way around until you come back to me! If you get lost along the way, you can find a complete list of participating consultants HERE. We have over 40 consultants participating in the hop this month. Just look for each link to the next blog at the end of each post. Now on to my artwork for this stamp! I created three cards with this set using sketches from our Make It From Your Heart Vol 1 Book. I used our Alcohol Markers to colors the roses on each of the cards but still each card is a bit different. Here is the first card I created using Sketch #26. I used Universal Backgrounds (D1477) to stamp on the 5x7 White Daisy base. 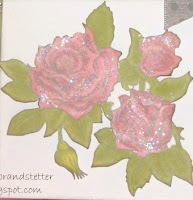 The roses were colored with Blush (Z2408) and Olive (Z2425) markers. I got happy with embellishments using the Silver Shimmer Ribbon (Z1799) for trim and Sparkles Flourishes (Z1708). I added the Slate Satin Polka Dot Ribbon (Z1802) as a banner to adhere "Happy Valentine" too. Notice how my roses sparkle? I debated whether or not to add Stardust Glitz Glitter Gel (Z1313). I finally added it and then decided I didn't like the look. So, I scrapped it off while it was still wet. I thought it actually left a nice touch of shimmer! So my 'mistake' actually turned out OK! My next card I used La Belle Vie (X7158B) paper. This card was created based on Sketch #22. My card is 5x7. I used Black Tulle Ribbon (Z1798) under my roses. The little epoxy bubbles are left over from my Avonlea Card Making Kit. My roses were colored with Blush and Olive Markers. Notice the difference in color between the roses on this card and the first card. I used the Blush and Olive Alcohol markers on both of these cards. 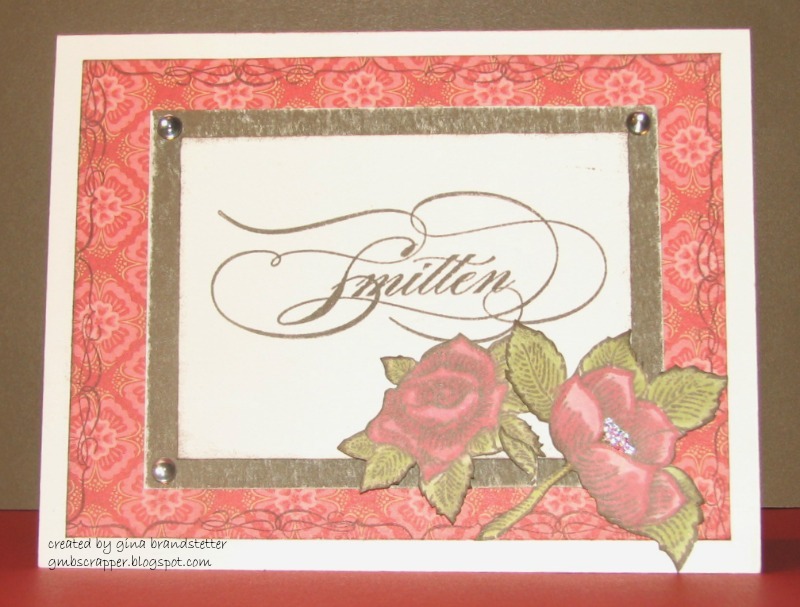 The roses on the first card were colored on White Daisy cardstock. The roses on the second card were colored on Bamboo cardstock. Using different cardstock color brings a different color to the ink. The bamboo color brought a darker color to the roses. I completely CASed a card in the Make It From Your Heart Vol. 1 book. It is Sketch #25. The paper is from Pear & Partridge for my background. Perfect for Valentines don't you think? I inked only the flourish portion of the "Happy Valentine" stamp to stamp around the edges of the paper. I used our new Alcohol Markers - Ruby (Z2429) and Olive to color the roses. The sparkle in the center of the rose is Stardust Glitz Glitter Gel. Remember! Happy Valentine is ONLY available during the month of January! When you spend $50 you can get this set for just $5! 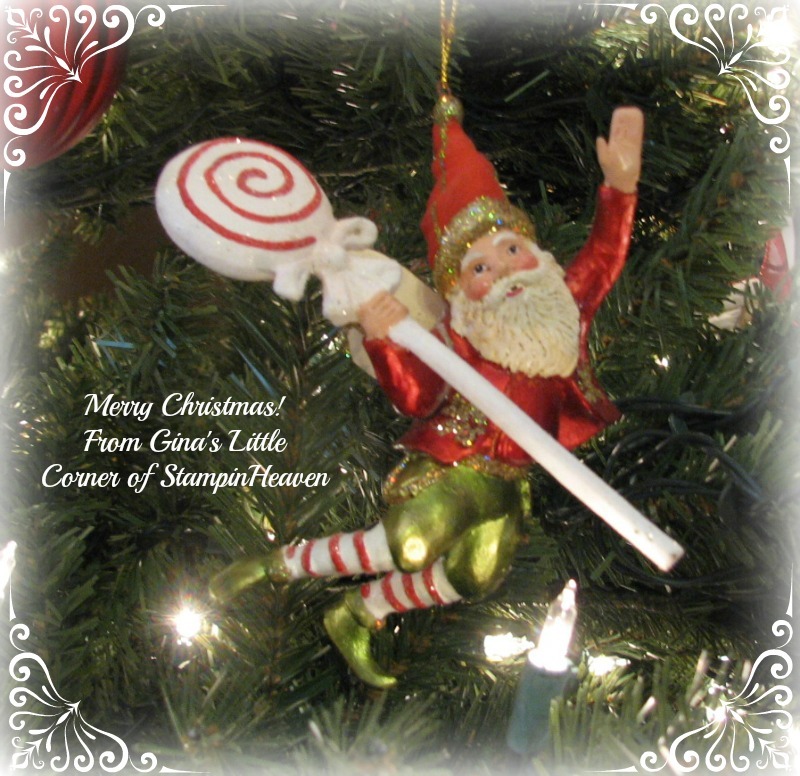 Now hop on over to Angel Sawyer's blog and see what she has created for you! 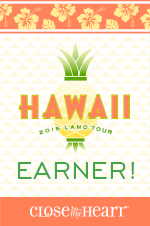 Congratulations to my December Mystery Hostess Winners! 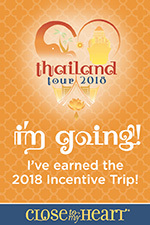 and won $20 in FREE Close To My Heart Products! Stay tuned! I will be hosting another Mystery Hostess Party soon! Be sure to come back tomorrow on New Year's Day and join in our Happy Valentine Stamp of the Month Blog hop! 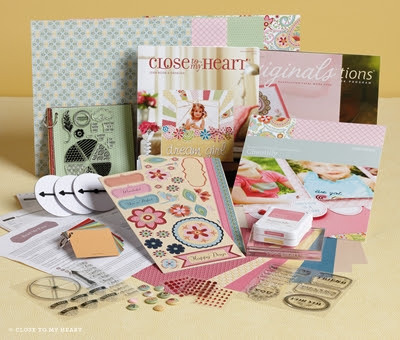 See what over 40 consultant's created with this stamp set! I will have THREE cards to share! Stay Safe on this New Year's Eve! I've been quiet since Christmas but it's only because I've had my nose in a good book! The new Spring Summer Close To My Heart Idea Book!! Let me tell you - this one book I just can't put down! It is AMAZING! (I know I say that with each book that is released but really - THIS ONE WILL ABSOLUTELY TAKE YOUR BREATH AWAY! This is just ONE of the perks of being a Close To My Heart Consultant! We get a one month PREVEIW period. These books will be released to the public on February 1. But we get them early and we get to order product early so that we will have some of the AMAZING new products to share in February! 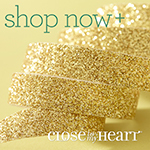 The SECOND perk of being a Close To My Heart Consultant is that we earn Select Product Credit with our sales! I've been saving my SPC so now that this book has come out, instead of spending over $700 (yes - that is the total of my wish list) I'm only going to actually spend around $150 - which includes a THIRD perk - this is less my commission! In spite of all these great perk - I believe that the BEST PERK of all is ALL the friends I have made. Locally, running my clubs and all over the country with other Close To My Heart Consultants. Looking for something different for 2013? Why not start 2013 off with a bang and join my StampinHeaven Angels Team! Sign up January 1 and get these all of these AMAZING products! You can sign up in just minutes right from my website! Thank you all for stopping by to visit me this past year! I have alot of great things in store for the coming NEW YEAR! It's been Wednesday since I've posted anything. Of all time to come down with a nasty cold, it had to be now. UGH... I haven't felt like doing much but had to force myself anyway. I had to finish up a few shopping items Friday and Saturday. I sure haven't felt like crafting either and I've got plenty that I need to do! I've got this VERY CUTE Whooo's Your Valentine Kit just waiting waiting for my to play with but I haven't got the mojo for it right now. This past week I've shared a couple of cards from a set of All Occasion cards I made for a gift. Here are a few more. These cards were so fun to make. I used some left over Dotty For You paper (a paper pack from our past National Scrapbooking Month special) and this fun little PUN FUN (C1505) stamp set. Hopefully soon I will feel like creating again. Until then, don't forget about my Mystery Hostess Party going on now through December 30th! 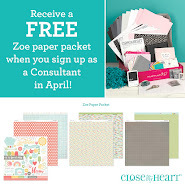 Join my party and place an order of $25 or more and be included in a drawing to win $20 in FREE Close To My Heart Products! Just go to my website and select "JOIN" beside Gina's Mystery Hostess Party and start Shopping! Don't forget to add Whooo's Your Valentine! when you place an order of $35 or more! PLUS, place an order of $50 and you will get a FREE Bonding Memories Glue Pen! Here is another Dotty For You and Pun Fun card for my gift set I made! This Pun Fun stamp set is so adorable! It has 6 stamps with a sentiment attached. I cut my sentiment apart from my stamp (YIKES!) But that's OK, you can do that! By doing so, I was able to place "Happy Belated Birthday" in a curved position on my stamp. See the picture above. I stamped my turtle onto Sweet Leaf cardstock and again on the Sweet Leaf Dotty For You Paper. I cut out the dotted portion of the turtle and glued it to the Sweet Leaf cardstock turtle. Next, I added Stardust Gitz Glitter Gel to his birthday hat! I'm entering this card into the Freshly Made Sketches Challenge. I used the sketch as vertical. My Mystery Hostess Party is still going on! You have until December 30th to join my party and be included in a drawing to win $20 in FREE Close To My Heart Products! A Birthday Card for a New Challenge! I was so excited this morning to learn about a new challenge blog - Seize the Birthday. The challenge is all about birthday cards! Now that I'm finished making Christmas cards for a while, I really need to get on top of my birthday cards and this challenge will help! I used sketch #19 from Close To My Heart's Make It From Your Heart Vol. 1 book. I added a dimensional element and using the Artiste Cricut Cartridge, cut the same shape as the dimensional element. The white cardstock is cut 1/4" smaller than the black to layer. I colored my cupcakes and cupcake stand with our new Alcohol ink markers and added Stardust Glitz Glitter gel to the frosting for sparkle. Thanks for stopping by! Be sure to come back later for more Dotty For You Cards! Here is a great little video all about the special Whooo's Your Valentine Kit which is available now through January 31 (or While Supplies Last!). You can purchase this kit for just $10 when you place a $35 order from our Fall/Winter Idea Book. Place your order on my website (be sure to join my Mystery Hostess Party) or call me to place the order for you! I will be offering a FREE workshop to anyone who purchases the kit on February 2. 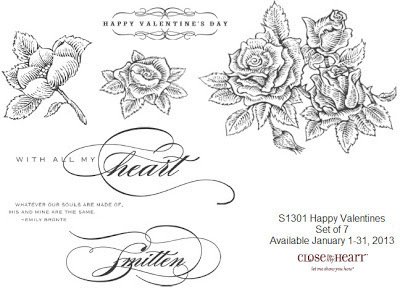 I know it's not even Christmas yet and we've got THE CUTEST Valentine kit special starting TODAY!! 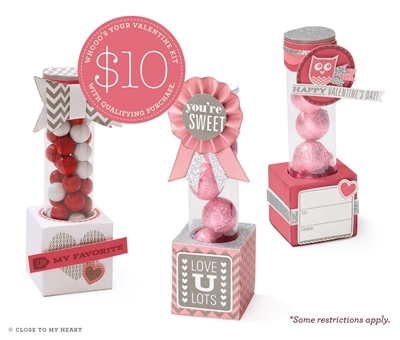 You can purchase the Whooo's Your Valentine Kit (valued at $40) for ONLY $10 when you place an order of $35 in Close To My Hearts products. This special is good through January 31 or WHILE SUPPLIES LAST!. This kit is so adorable I predict it will be sold out before the end of January! So join my Mystery Hostess Party and order your kit today! There are THREE good reasons to order your kit on line through my Mystery Hostess Party! This kit is a $40 value for just $10!!! OK - one more reason! 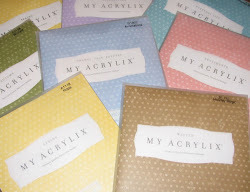 - I plan to hold a Free workshop with this kit! Just Purchase the kit and you will be invited to attend the workshop for FREE! Start Shopping NOW! Go to www.stampinheaven.ctmh.com and join my Mystery Hostess Party! Now, do you need a little more inspiration to buy the Whooo's Your Valentine Kit? 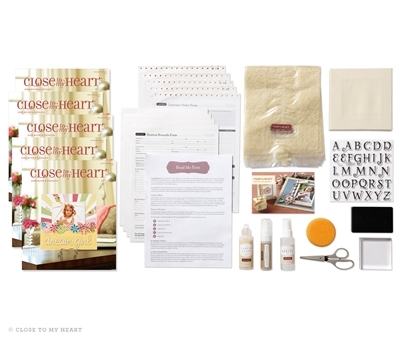 Take a ride on the Close To My Heart Consultant Blog Hop and see what they have created! These consultants got their kit early and created some amazing things! Hopefully soon I'll have something to share too! 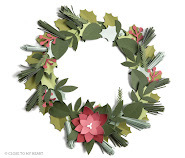 Start the hop with one of my FAVORITE very talented CTMH Consultants - Allisa Chilton and her Rocky Mountain Paper Crafts Blog. These cute little $2.95 monogram stamps have so many uses! You can personalize office supplies and household items in a snap! Or, add a personal touch and make monogram cards, use them in layouts and so much more! 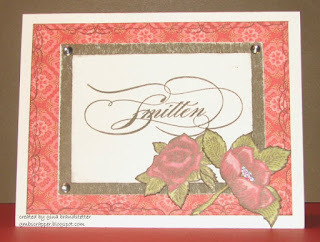 Here are two monograms cards that I made back in July for Close To My Heart's Extravaganza classes at convention. I've been so busy lately that I have forgotten about these but recently dug them out. I've order a few more stamps and can't wait to make a set of gift cards. Need more inspiration? 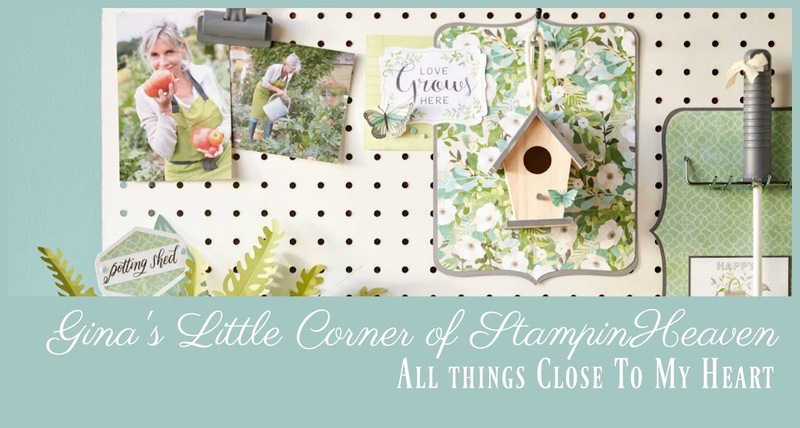 Check out these TWO short videos from Close To My Heart that show you even more ways to use these cute little monogram stamps! Here is the final Christmas Card I'm sharing from my weekend of cardmaking with my sister a few weeks ago. I call this card my Misfit card because the idea for this card began from a mistake. Since I was not taking my cricut machine with me on our little trip, I spent the morning cutting a bunch of cricut images to take with me. I had a stamp set that coordinated with many of the images on the Artiste Cricut Cartridge (Z1790) so I was cutting away. When I began cutting the mittens, I forgot to change the size to fit the stamp and before I could catch it, I had already cut out about 6 mittens the wrong size. Standing there looking at the little white cardstock mittens an idea for a card came to me. (I just love it when that happens!). I had an image in my head of mittens hanging to dry to on a clothes line. These mittens were cut at 1 3/4" inch. I cut the layers from Sky and Topiary Cardstock. See the little snowflake cutouts in the center of the mittens? I didn't throw those cut outs away! I saved them to use on the card! The "Ho Ho Ho" was actually a test size for the card I shared yesterday (shown HERE). It wasn't the right size but I saved it because I knew I could use it somewhere! I thought it fit perfectly on my 'mis-fit' card. I used the Stardust Glitz Glitter Gel (Z1313)on the mittens to add sparkle. The striped paper is from the now retired "Believe" paper pack. I hope you have enjoyed my cards from my weekend of cardmaking and maybe even got some inspiration from a few of them. I know I had a wonderful time creating these with my sister! 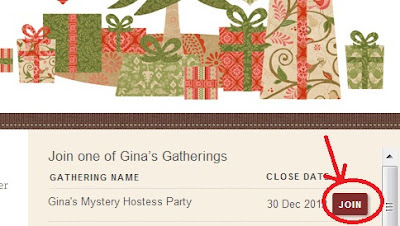 Don't forget about my Mystery Hostess Party going on now through December 30th! Join my Mystery Hostess Party going on now through December 30th for a chance to win $20 in FREE products. For every $25 you order (before tax and shipping) your name will be entered into a drawing. when you order $50 or more from my website! Start shopping now! Start HERE! to win $20 in FREE product when you order! Wow... how did I get all the way to Sunday without posting another Christmas Card! I would love to post something new every day this week, but my calendar is quickly filling up. I've got 2 events to attend, plus my husband informed me today that this week we'll be doing all our Christmas Goody baking! Somehow I guess I'll fit it all in. Stay tuned anyway - you may find a recipe on here for something yummy instead of a card recipe this week! But today, I'll share another card I made using the Ho Ho Ho key from Close To My Heart's Artiste Cartridge (Z1790). I cut the image twice first with Holiday Red Cardstock and then Topiary. I offset them just a tiny bit when I adhered them to the card. The snowflakes came from the mittens I cut earlier for a card. ( you can see one of those cards HERE) See, I throw NOTHING away that I might be able to use later! The snowflakes added just the right touch. I rounded out the card with Olive twine from the Baker's Twine - Harvest Assortment (Z1751) and added some Bitty Sparkles (Z1263) and Sparkles Clear Assortment (Z1752). I'm entering this card into the Unscripted Sketches challenge. Be sure to check out the Retiring Items tab for all of the Close To My Products that will be retiring after January 31. 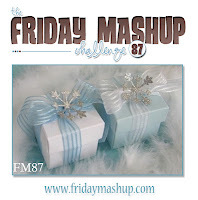 Then join my Mystery Hostess Party and place an order for those items on your wish list! 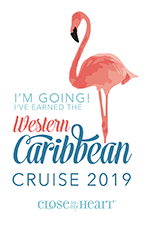 Your name will be entered into my drawing for Mystery Hostess for each $25 order you place. (place a $55 order, your name will be entered TWO times!) 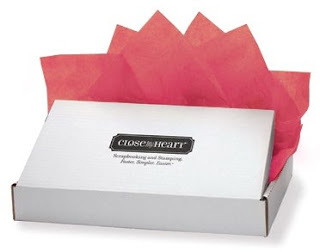 You could win $20 in FREE Close To My Heart products! Mystery Hostess Party ends December 30th and drawing will be held on December 31st. Here is Card #2 from my weekend of Christmas Cards. The paper is from the now retired Believe Paper pack. The mittens were cut using the Noel <Accent 2> key on the Artiste Cricut Cartridge (Z1790). I used the Noel <Accent 2> Shift key to cut the layer for the mittens. Our Stardust Glitz Glitter Gel (Z1313) adds just enough sparkle. Stardust is my favorite of all the Glitz Glitter Gels. I'm entering this card into the Dynamic Duo's Challenge. Get your favorites before they are gone! Check out the Retired Items tab (HERE) for products that will retire after January 31st! This past weekend I traveled to Ohio with my Husband, my sister and her husband to a hunting retreat. Sounds fun doesn't it? Actually we had a wonderful time. I came prepared with paper, stamps, inks and pretty embellishments to play with while our husbands were out looking for the BIG MONSTER buck. We were staying in a GORGEOUS cabin with a beautiful warm fireplace (2 fireplaces actually) that was decorated for the holidays. This provided the perfect atmosphere for our little card making projects. I brought along two different paper packs, or so I thought I did. In rearranging my bag that I packed with crafting supplies, I must have taken out the Pear & Partridge paper and forgot to repack it. But I did have lots of last year's popular Christmas paper - Believe (now retired). We created 15 cards each so I was really excited to use up some of my stash. I'm going to share a few of the cards with you over the next couple of days. Be sure to check out the NEW LIST of retiring products on my Retiring Items tab! The products listed there will retire after January 31. A few are already unavailable! Join my Mystery Hostess Party on my website and for every $25 you order (before tax and shipping) your name will be entered into a drawing for $20 in FREE products! 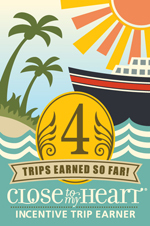 I had THREE winners last month! My Mystery Hostess party will be open through December 30. Drawing will be held on December 31!